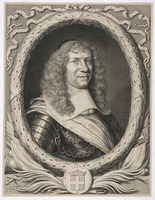 CHARTIER DE LOTBINIÈRE, LOUIS-THÉANDRE, seigneurial attorney and lieutenant general of the seneschal’s court at Quebec, attorney general to the Conseil Souverain, lieutenant general of the provost’s court at Quebec; b. c. 1612 in Paris; d. some time after 1680 in France. He was the son of René-Pierre Chartier, a counsellor in the Parlement, physician in ordinary to the king, and royal professor, and of Françoise Bourcier. The first known forbear, Philippe Chartier, the son of Joseph and Marguerite Amelotte, was born in 1345 at Dijon. The Chartier family received noble status at the beginning of the fifteenth century in the person of Alain (1382–1455), a receiver general of accounts and secretary of state under Charles VI. In the fourth generation, represented by Clément (b. 1456), the Chartiers adopted the surname of Lotbinière. They were allied to the Châteaubriands, the La Rochefoucaults, and the Polignacs, and of all the families who made their home in New France they were of the most ancient lineage. Little is known of Louis-Théandre Chartier de Lotbinière’s career before he came to Canada. He was prior of Saint-Étienne de Monays when a young man, but soon made over this living to his brother René. (The latter, who died in France on 19 Oct. 1655, had lived in Canada from 1643 to 1647 as chaplain to the Ursulines of Quebec.) In 1641, in Paris, Louis-Théandre married Élisabeth Damours, the sister of Mathieu Damours de Chauffours and a relative of Jean de Lauson, the future governor of New France. He had two children by her: René-Louis* – whom several historians have confused with his father – and Marie-Françoise. It was perhaps at the request of M. de Lauson – with whom they made the journey, together with Mathieu Damours – that Chartier and his family went to New France. 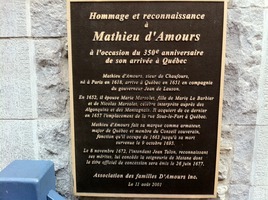 They landed at Quebec on 13 Oct. 1651. It has been said of Chartier de Lotbinière that he is the “Father of the Canadian magistrature.” Like all such statements, this one is a little exaggerated, but it is not entirely false: M. de Lotbinière’s legal career was in certain respects remarkable. When he arrived, the colony was still without any properly constituted court. It was customary for the governors to administer justice themselves, with the assistance of a few counsellors as occasion demanded. One of the first things accomplished by M. de Lauson was the establishment of a seneschal’s court at Quebec, in the autumn of 1651. Chartier was appointed seigneurial attorney to the court, and in 1656 was promoted to be its lieutenant general for civil and criminal affairs. He kept this office until the autumn of 1663, when the seneschal’s court was abolished following the setting up of the Conseil Souverain. M. de Lotbinière was soon called upon to play a part in the new council. At the beginning of 1664, the attorney general Jean Bourdon, together with the counsellors Ruette d’Auteuil and Rouer de Villeray, had been arbitrarily removed from his office by M. de Saffray de Mézy. On 10 March Saffray de Mézy appointed Chartier deputy attorney general; despite the opposition of Bishop Laval*, the council confirmed this appointment. But as Bourdon was reinstated shortly afterwards M. de Lotbinière resigned on 16 April. After a brief lull the governor’s anger flared up again in September: on the nineteenth he dismissed d’Auteuil, Villeray, Jean Juchereau de La Ferté, and Bourdon; on the twenty-fourth, in the bishop’s absence, he appointed Chartier de Lotbinière attorney general. Chartier held this position until 6 Dec. 1666, on which day M. Prouville de Tracy restored to Bourdon his former office. In the autumn of 1666 Chartier was also preparing himself for the presidency of another tribunal. The Compagnie des Indes occidentales, set up in 1664, had been authorized to “establish judges and officers wherever there will be need and wherever it will find it appropriate.” The company made use of this privilege to create a provost’s court at Quebec, and on 1 May 1666 named Chartier to it, with the function of lieutenant general for civil and criminal affairs. This court was to “deal in the first instance with cases of all kinds, whether civil, criminal, or concerning police, trade and navigation”; appeals were a matter for the Conseil Souverain. Chartier was installed in office on 10 Jan. 1667, and pronounced his judgements until he resigned in his son’s favour on 25 Oct. 1677. 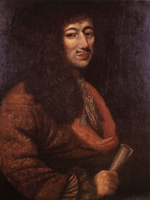 The tribunal, officially abolished in 1674, was not resumed until 1677, yet it had not ceased to sit; on 13 May 1675, at a time when theoretically the provost’s court did not exist, Louis XIV confirmed Chartier in his functions! If a number of historians are to be believed, Chartier was a member of the Communauté des Habitants. We have found no documentary proof of this. It seems that a wrong interpretation has been given to his presence among the “17 individual settlers” who on 4 Oct. 1663 were deprived of the administration of the Tadoussac concession, which had previously been leased to them by Pierre Dubois Davaugour. This association had nothing to do with the Communauté. This revelation of the behaviour of the “erstwhile” lieutenant general of the provost’s court is one of the rare glimpses that we have of his character. As a relative of M. de Lauson, Chartier de Lotbinière occupied important offices from the time he arrived in New France. 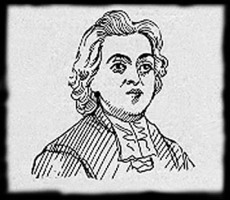 Yet he is rarely mentioned outside legal documents; moreover he does not seem to have enjoyed the Jesuits’ esteem as much as did the other settlers of his social standing: the Journal rarely names him, and never in regard to the religious festivities in which the representatives of the best Quebec society took an active part. That M. de Lotbinière was not on the side of the Jesuits and – later – of Bishop Laval becomes evident when, in 1664, he sided with M. de Mézy and, against the bishop’s opposition, accepted the post of attorney general in the Conseil Souverain. Nor do the clergy appear to have looked favourably upon the ball given by Chartier on 4 Feb. 1667 – the “first ball in Canada,” according to the Journal des Jésuites. Did graver suspicions hang over Chartier in the Corruble affair? Ange Bouge, dite la Corruble, had been arrested by order of the council, and imprisoned because of scandalous conduct in the company of some young men. The next day, 18 July 1676, the jailer Genaple* released the prisoner, at Chartier’s request. Asked to offer an explanation before the council, the lieutenant general refused to give his reasons, and furthermore his manner was peremptory and lacking in respect. He was summoned to appear again on 23 July, and he maintained that he alone had the right to decide upon imprisonments. He resorted to an attitude of arrogance, and refused to justify his action any further. On 3 August the council relieved him of his office, which he resumed however before the end of the month. This officer of justice – whose career spanned almost 30 years, but whom Talon deemed “ill suited to this profession” died in France some time after 1680. According to M. de Léry Macdonald he died in 1688. André Vachon, “CHARTIER DE LOTBINIÈRE, LOUIS-THÉANDRE,” in Dictionary of Canadian Biography, vol. 1, University of Toronto/Université Laval, 2003–, accessed April 20, 2019, http://www.biographi.ca/en/bio/chartier_de_lotbiniere_louis_theandre_1E.html.